The Festival of Neggs is much like a Springtime version of the Faerie Festival, and a more complex version of the Springtime Celebration. Everyday you go to the Festival Page to obtain an exclusive free prize! You can also help Kari on quests. Kari is the Negg Faerie whom resides in the Neggery within Ice Caves of Terror Mountain. Be sure to check everyday, here and there, for coverage, Quests , and prizes! Also, be sure to check out its NeoCash partner, Neggstravaganza Surprise! 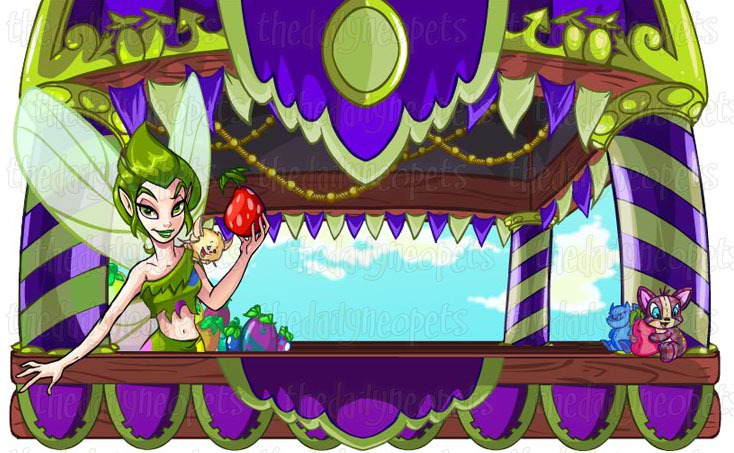 Kari the Negg Faerie has hidden neggs all around Neopia. When you accept to do her quest, she give you a hint and then it's your job to explore Neopia to complete the quest. You can only do one quest at the time. Also, remember that she can hide neggs anywhere, including in shops, battledome arenas, game pages, etc. The Daily Neopets will update the table below with the latest riddles, solutions and prizes. Festival Negg Any places in Moltara City and Caves , the Tyrannian Jungle and Plateau too. Not to mention, the Moon , the Desert and its two Great Cities . You seemed like a smart Neopian. The first ingredient I'll need is a delectable fruit that can only be found in one place. You know, it's true what they say about the enlightened farming methods of King Hagan's subjects. They sure put their wisdom to good use! I don't have time to go over the rest of the ingredients, but I am sure you will figure it out along the way. Ahh, let me guess... doing a little shopping for Kari, eh? Pretty much the only time that those Cackleberries sell is when she's cooking a pot of her delicious Speckled Negg Stew. I take it you'll be heading north from here, then? After all, what's a Speckled Negg Stew without a wheel of Bubbling Snot Cheese? Note: Buying the cheeses won't give the next clue, so don't do that! Those ingredients that you put in my cooking pot were rather... extreme. You got them in Meridell, you say? I guess that's no surprise; they've got some pretty radical ideas about food. I have to give them credit, though? That ratio they've come up with for making stew... I believe it's x minus four, multiplied by three, where x equals the number of your vegetable of choice? Brilliant! Sack of Potatoes Play a game of Extreme Potato Counter . Fill the number of potatoes you see in the formula. For example if you see 8 potatoes the formula would be: (8 - 4) x 3=12. Fill in 12 as an answer. Citadel Stew Spice Go to cellblock . Go down the challenge list and click on the picture for Guard One - Galgarrath. Clicking on his nostrill (his nose) seems to work for most people. So I see you have come for my infamous Stew Spice. The guards and I use it to help make the slop that they serve here in the dungeon edible. I imagine that if it makes our stew tolerable, it will do wonders for whatever Kari is concocting. Take it back to her, just don't upset the prisoners on your way out.. I Heart Soup Apron Bring the items back to Kari. In your hunt for hidden treasure. Festival Negg Any places in Maraqua and in the Ruins of Maraqua , on Krawk Island or on Mystery Island . It could also be hidden on Roo Island or around Kiko Lake . Also, don't forget Geraptiku ! OK, I know exactly what I want. 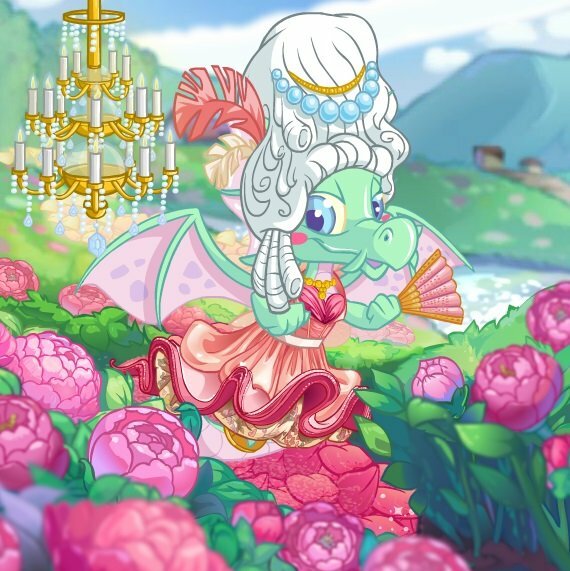 I need a Petpet that can get around the Festival easily, so it has to be agile. And sometimes I work until all hours, so make sure he can still be helpful when it's dark. One more thing: make sure he doesn't make too much of a mess. I have enough to worry about around here without having to clean up goo. You spot a wild glowing Slymook, but it scampers back into the woods before you can catch it. Its trail of slime appears to be leading here ! Guide to Wild Petpets Click the link and find the Slymook, you need to find one 5 times. You might have to refresh a couple of times before it appears on the map. Click this petpage for many possible locations. You finally manage to grab one for more than a few seconds. You had better hang on! As you travel through the Haunted Woods on your way back to the Festival, you stumble across a book lying on the ground. As you reach down to pick it up, the Slymook wiggles out of your grasp. You see him scamper off, heading for the Deserted Fairground. That's no place for a Petpet. It can be dangerous with all of those custard pies flying around. You'd better follow him. Petpet Catching Net Get a score of at least 300 points at Carnival of Terror . You do not come to me to ask questions; I ask the questions! However, it appears that you have been on a very long journey. If it is the location of that glowing Slymook you seek, solve this puzzle and the answer will be revealed to you. Brain Tree Puzzle Solve the jigsaw puzzle. Click here to see the full picture. You have successfully solved the puzzle. It appears that you have been directed to return to the quest booth from which you were sent. Perhaps your efforts have been fruitless. Here is a small token for entertaining me. Green Festival Negg Visit the host land of the Altador Cup, and the Kingdoms of Brothers . Don't forget their Farms and the Citadel either. Then return to the land of Faeries with their great city , and that of Ninjas too. The Tooth Faerie was going on about all of the places that she had to visit after leaving the Festival, but I was so busy thinking about everything that I had to do, I tuned her out. I seem to remember her saying something about having to go to a place where she could see underwater but not have to go underwater, or something along those lines. Anyway, that's all I remember. Come back when you have the recipe! Toy Glass Bottom Boat Visit the Glass Bottom Boat Tours and click on the life preserver. Hi there! Warm day, huh? If you're looking for the Tooth Faerie, she was here earlier. Check out these pearly whites! *wink* As for where she was heading next... gee, I can't remember what she said now. Our conversation was kind of confusing; it seemed as though we were talking in circles. We just kept going 'round and 'round... it felt like we said the same thing four times. Anywho. Sorry I couldn't be of more help. Here, take this toy; it will give you something to play with as you search for her. Good luck! Red Striped Vest Go to Merry Go Round and pay a ride to each of your pets. My goodness! You must really love the Merry Go Round! I've never seen such happy Neopets. Since you are one of my best customers, I think you deserve a special reward. Oh, you're looking for the Tooth Faerie? Well, after she gave me a brand-new toothbrush, she hurried off to find an expert on shells. She said she had discovered a strange new one and wanted to find out more about it. To be honest, it all sounded a bit wobbly to me. Jelly Shell Visit the Collectable Sea Shells shop while having any jelly item in your inventory and a Shell in your Album. Oh no, not you too! Oh wait. I saw your sea shell and jelly collections and thought you had another so-called Jelly Shell like the one that the Tooth Faerie brought me! She left it here for me to investigate its origins, but frankly, I can't figure it out. Here, take it. Maybe you can figure out what it actually is. 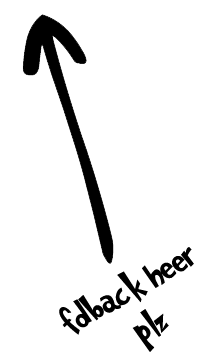 Be sure to put it in a very safe place; otherwise, you never know what could happen to it... Next Hint Click on the word inventory. You try to put the Jelly Shell in your Safety Deposit Box for safe-keeping, but a swarm of Petpets appears out of nowhere, grabs the Jelly Shell, and stampedes off in a cloud of green dust. Just what has the Tooth Faerie gotten you into?!? Maybe you had better visit the source of this mystery! Trampled Jelly Shell Go to the non-existant Green Jelly and click on the swirl. Your pet should now be inside of a maze! Walk around the maze until you find the next hint. Then, click on the word inventory again. You see the Petpets scampering off and find the Jelly Shell on the ground, a little worse for wear. It looks like it was trampled during all of the running around. Perhaps someone around here knows what's going on? Next hint Restock an Edible Map to Jelly World from the Jelly Foods shop. Whoa, whoa, you've got to get out of here! There's no time for shopping. Sure, I've seen a faerie around here, but never mind that now! THE JELLIES ARE COMING!!! RUN!!! Tooth Faerie Cupcake Recipe Score 1000+ in Scourge of the Lab Jellies . It's a good thing you showed up! If you hadn't defeated all of those Lab Jellies, I'd still be stuck in that laboratory. Let me give you some advice: Never offer to clean the teeth of anyone working in a Jelly Lab who can't control his experiments. Now, why were you after me again? Oh, of course, the cupcake recipe! Here, let me write it down for you so you can take it back to Kari. Pardon me, but now I must get back to work! Merry-Go-Round Garland Go back to Kari . Or a land that doesn't even have a team. Tyrannian Landscape Painting Visit the Tyrannian Cave Paintings and click the pages one at a time until the next clue appears. That's quite a painting you've got there... it's for Kari, you say? I had no idea she was a patron of the arts. I have heard, however, that she's a rather sporty type. And what better place to enjoy a nice sporting event than on the beaches of Neopia. Just keep an eye out for those Turdles. Don't worry about the painting?I'll see to it that it's delivered. As for you, here's a souvenir to remind you of your time here during the remainder of your voyage! Cheesy Mynci Beach Volleyball Crackers Score 250+ in Mynci Beach Volleyball . Whew! After a match like that last one, I sure could use something to eat. Care for a bite? I've got an extra Zeenana in my bag; you're welcome to it. I see?not a fan, eh? Maybe you will enjoy some cheesy crackers instead. This Island food's okay, but it's nothing compared to the sweet ambrosia of my favourite land... oh well, even if the food's not so great here, the lovely views Mystery Island has to offer are certainly a selling point! Altadorian Ambrosia Restock Altadorian Ambrosia at Exquisite Ambrosia . Three Scoops of Chocolate Ice Cream Complete the first three levels of Ice Cream Machine and send your score three times. As you might have imagined, I just absolutely love ice cream! To be honest with you, though, whenever I think about being trapped in that factory, it definitely makes me wish for a change of scenery... Next hint Go to Mystical Surroundings and buy a background of your choosing. Customize your pet with it and save. Return to Mystical Surroundings and refresh. Kings Key Buy the book "Things To Do in Sakhmet" at Sutek's Scrolls . That book is wonderful if you are planning a holiday in Sakhmet! Kari will definitely want to pay us a visit. Hey, wait! This just fell out of the book. Hmm... that's most unusual. This isn't something that I would ordinarily sell in my shop. It appears to be some sort of key; I wonder what it's supposed to open? Most unusual indeed... Next hint Go to your inventory, click on the Kings Key. In the dropdown tab, click on Examine Key (below Put Up For Auction). You have found the long-lost King's Key and discovered a place traversed by few. Choose your path wisely, brave Neopet. One wrong move and you could be banished to the beginning. Find the correct path, and you will enter a place that is known only by the most enlightened. Go back to see Kari . These prizes are found randomly when found browsing the Mall, Festival, and related Games! The Snowager is awake. He'll be sleeping in 5 hours, 49 minutes.